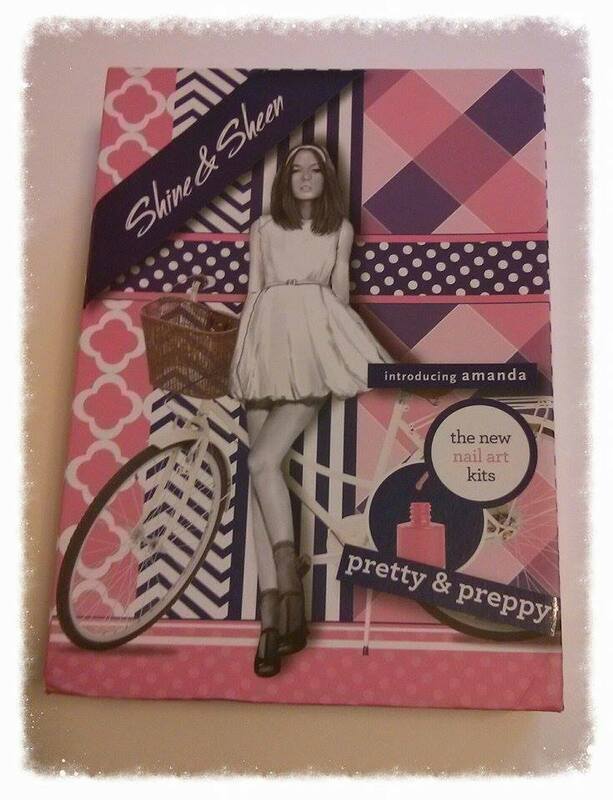 A couple of days ago I was lucky enough to receive a box from Shine & Sheen to review. I was So happy! 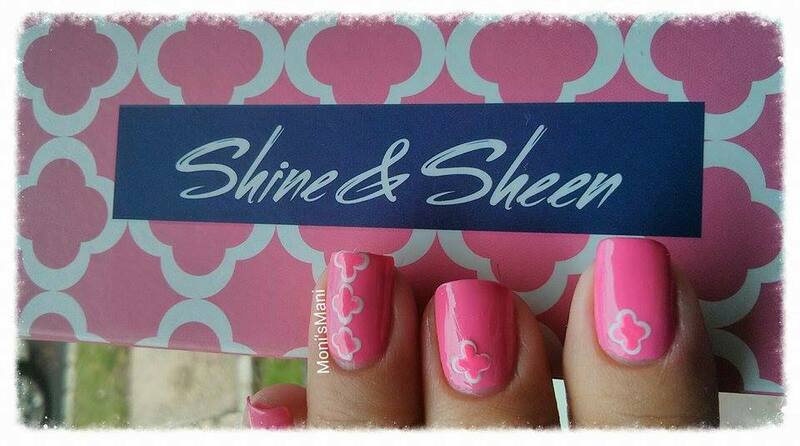 Shine & Sheen is a company I had been following for a couple of months because I really liked the look of their product. The boxes are a work of art and the best thing? 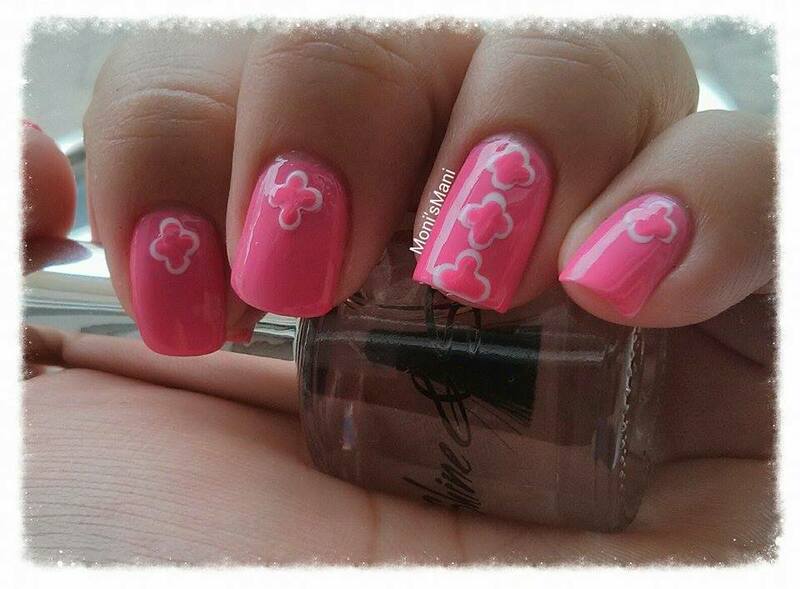 They are a great inspiration for nail arting! I received the Pretty and Preppy (box that I picked out myself because I loved the cover and the colors) and I have to say I was extremely impressed! I was NOT expecting so much product. 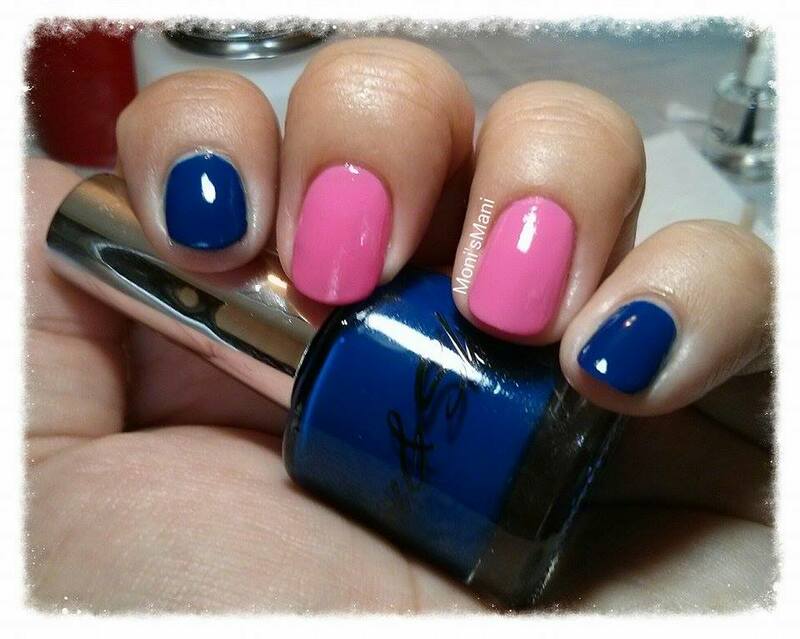 You have anything and everything that you could ask for and need for a manicure including a couple of extras. there were even a couple of things that might seem “silly” (like toothpicks) but that let you know that the company has really taken the time to find out what a person would need to create.. And I mean toothpicks are a very very handy and popular tool for nail arting. I use them ALL the time so I really loved that they included them. 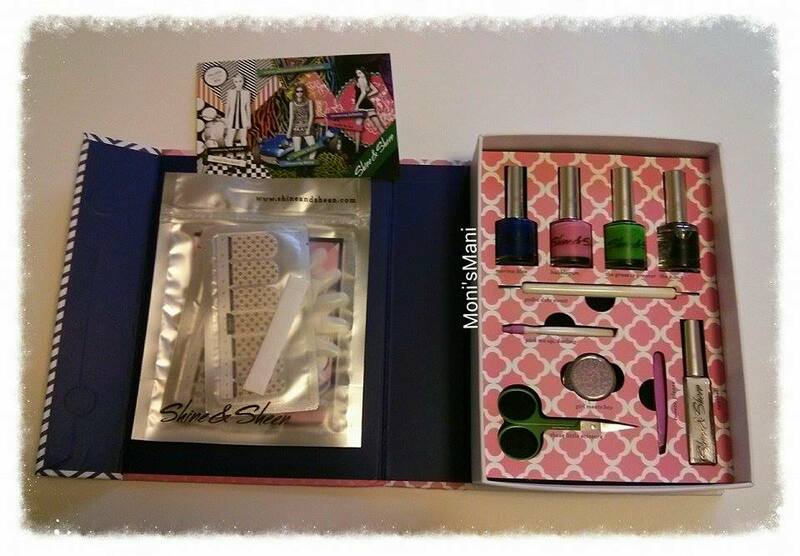 This box is seriously a mani in a box, the first time in a LONG time where setting up for a mani took less than 5 min! So I have done 3 manis so far with this box and using ONLY products from this box, I’m sure I will do waaaay more because the possibilities are endless. *This first one was inspired by the box itself. 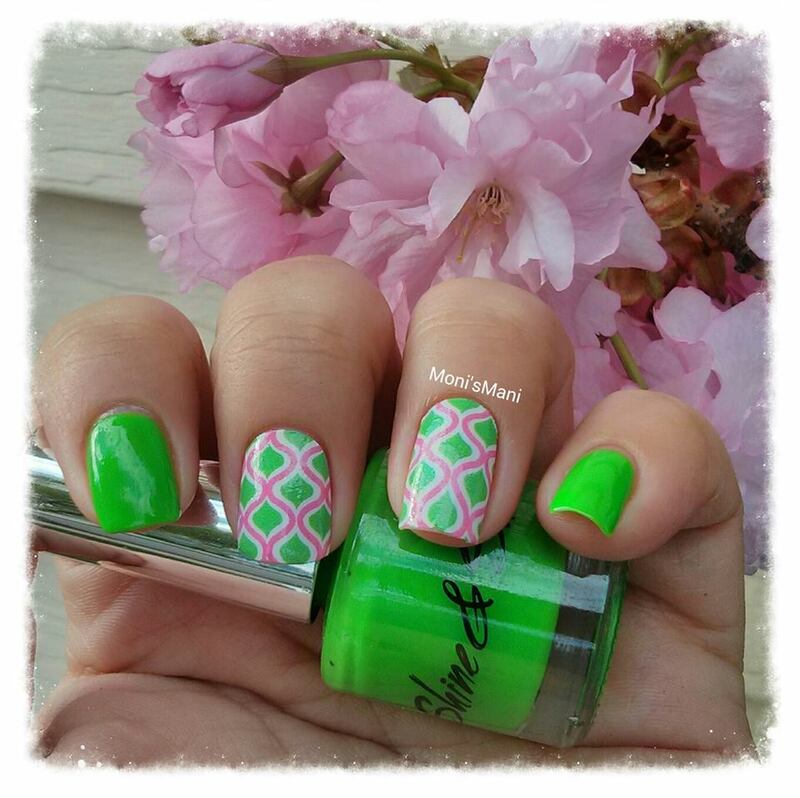 As I said before, I saw this box a couple of months ago and loved it and I knew immediately that I wanted to recreate the “quatrefoil” pattern on it. 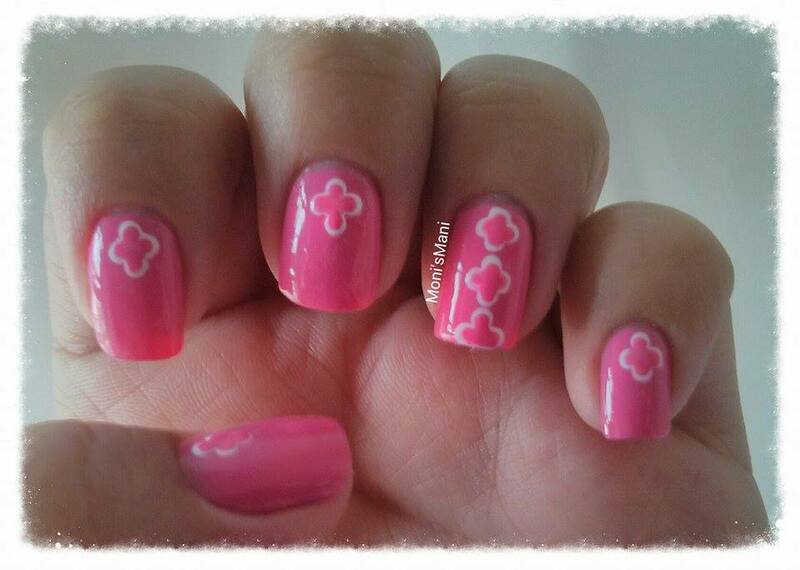 So here it is, you see 3 coats of the pink polish topped with the base/top coat. The shine from that top coat is amazing btw. I have to admit it didn’t dry as fast as I’d like but it gave me a chance to relax so it wasn’t to bad. 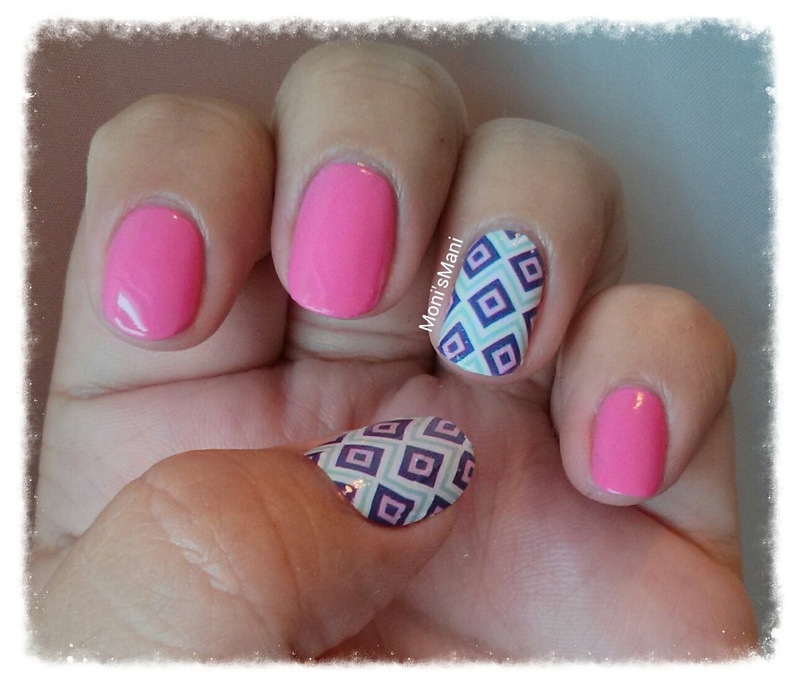 *For my second mani I NEEDED to use a nail sticker because their patterns are soo pretty! It was my first time using stickers so I was very nervous. Thank God it wasn’t as hard as I thought and even though it’s not perfect I am quite happy with the result and with how easy it was to use them! 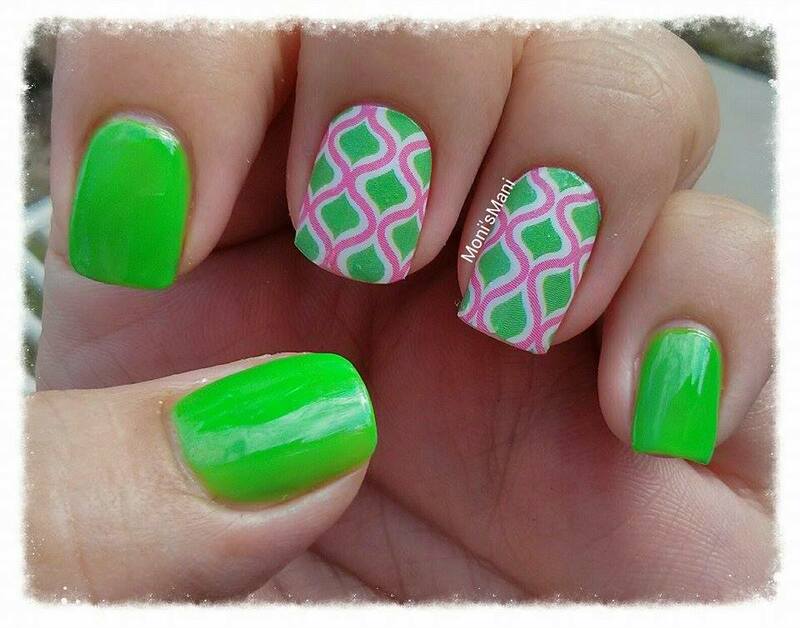 The green color is perfect for this season, you see 3 coats of it plus top coat. 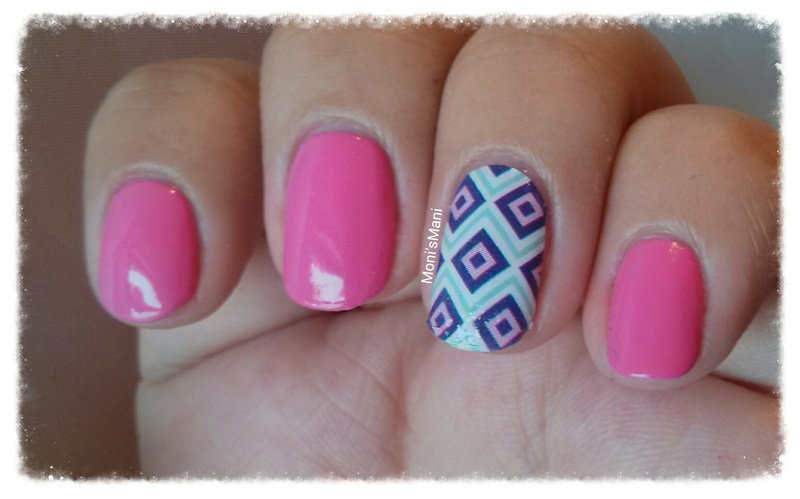 *My third mani, ok loved the color combo from this mani. the blue is the perfect midnight blue in my opinion but I am SOO sad that I was not patient enough to let it dry completely and made it bleed into the pink. Boo me!! 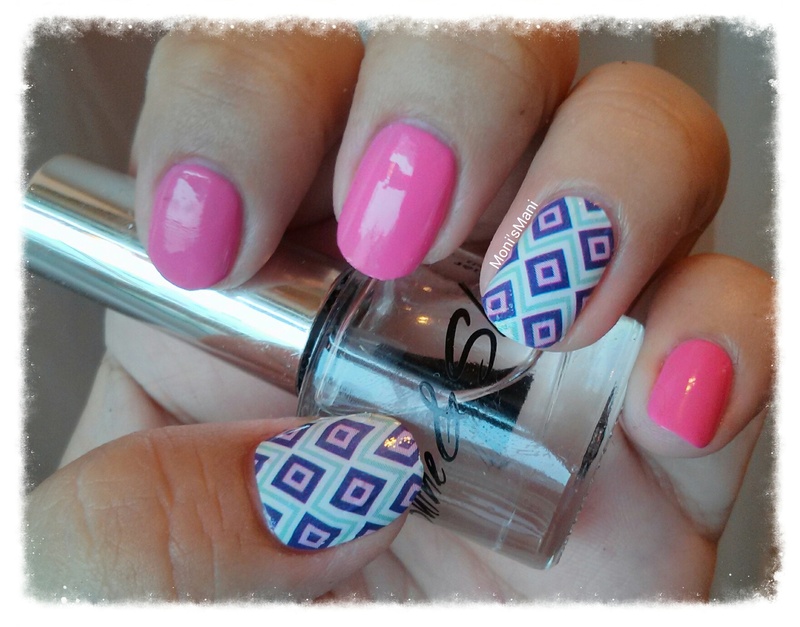 *Here’s my fourth mani with this kit, these nail stickers are amazing! I absolutely love the patterns! 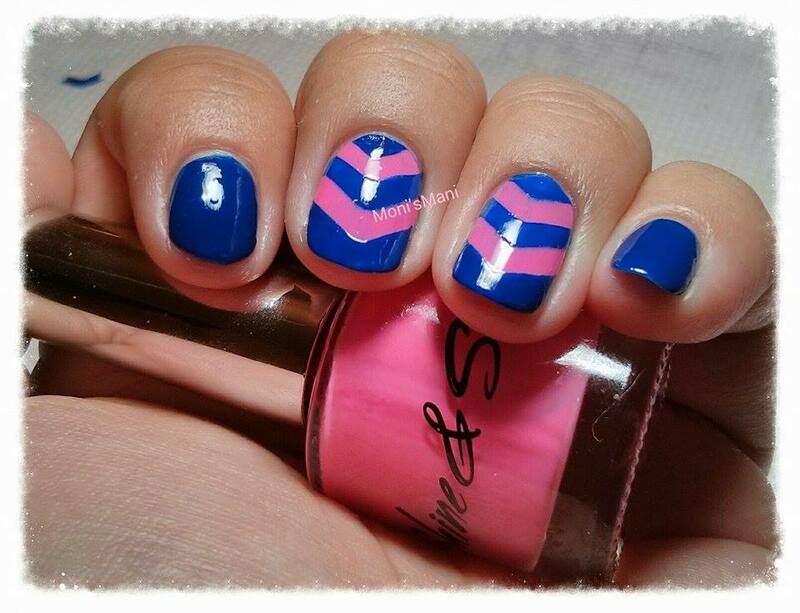 Hope you liked the manis! 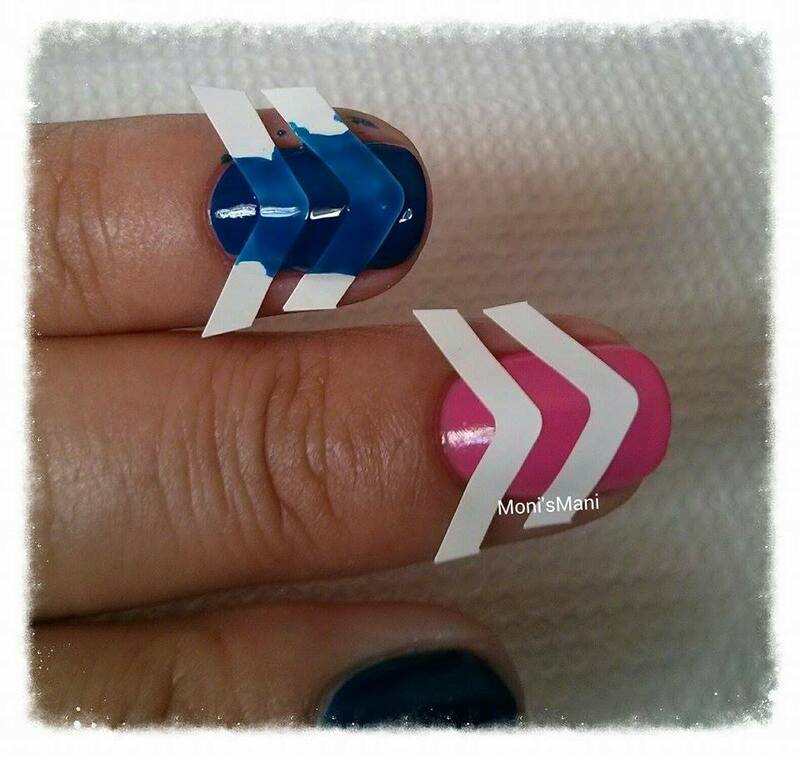 I definitely recommend these kits if you are a nail lover or want to start with nail art. 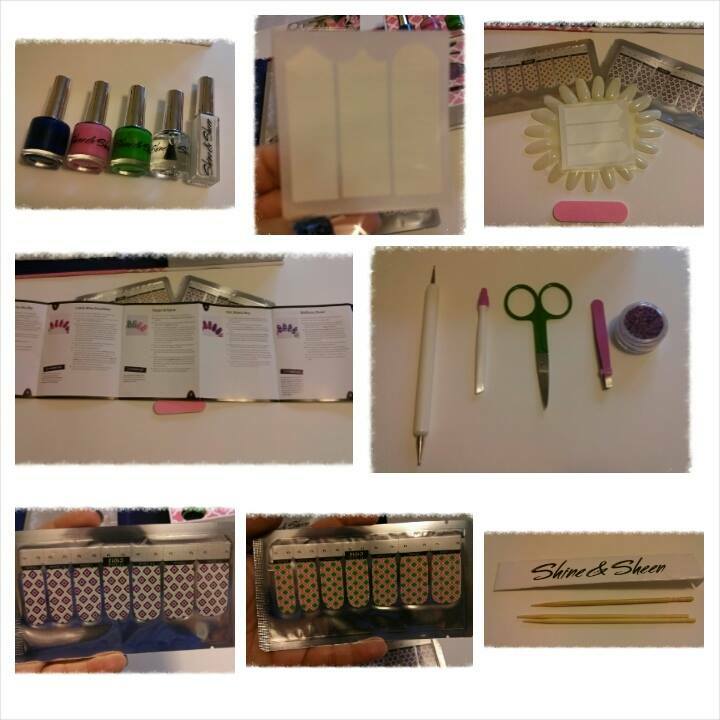 and this is the PERFECT gift for the nail lover in your life. 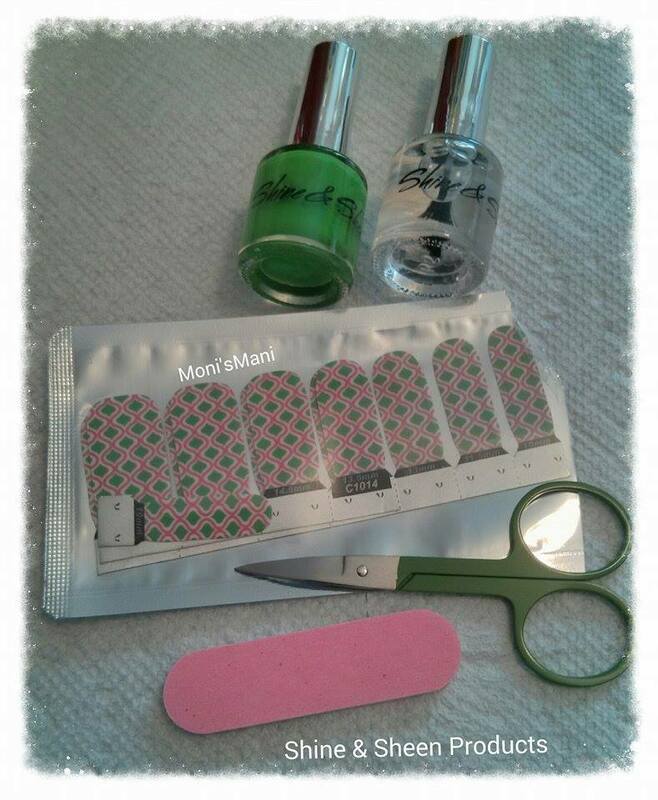 It has everything you need to create tons of manis! Where to buy the kits? Oh and I almost forgot! 😛 Shine & Sheen is hosting a giveaway for you!! Unfortunately it is only open for U.S residents. Here’s how to enter. Please be 18 or older to participate and again ONLY U.S Residents. Thanx hon!! Don’t forget to sign up! What a fun box! I can’t believe I have never heard of it before. Thank you for the great review! Thank you! I’m glad you like it! The box is great gives you so many possibilities! Thank You For A Chance To Win In Your Awesome Giveaway !!! Love The Box With All Them Pretty googies !!! Thank you Mollie for participating!! Thank You For A Chance To Win In Your Awesome Giveaway !!! Love The Box With All Them Pretty goodies !! !